With the continuously intensifying pollution, especially in the tier II and III cities of India like Gwalior, Allahabad, Patna and Raipur among others, the quality of air people inhale is depleting day-by-day. According to the recent report for 2016 released by WHO, India’s Tier 2 and Tier 3 cities, which have far poorer air quality monitoring systems, are already among the global cities with the highest levels of particulate matter (PM). Gwalior, among the top five cities globally in terms of PM 2.5 levels, recorded an annual average of 176 micrograms per cubic metre (ug/m3) and Allahabad 170. The 20 global cities with the highest PM 2.5 levels included Patna and Raipur with 149 and 144 ug/m3, respectively. Considerably, the people across the nation spend over 90 per cent of their time indoors. Researchers believe that the indoor air much polluted in comparison with is polluted air outside. Thus, business of Air Purifiers have adequate avenue of opportunities in the small towns of the country. Significantly, as per the India Air Purifier Market Forecast & Opportunities 2018, the demand for air purifiers is mostly generated from the commercial sector. Moreover, the demand from residential sector is also expected to grow due to the increase in health concerns across India. It is a portable machine that removes bacteria, virus and particulate matter, which may affect human body with breathing disorders or diseases, if could be inhaled on a daily basis. Significantly, the amount of power a ceiling fan uses, an air purifier strips the air of major pollutants including dust, pollen, mould, dander and tobacco smoke using various filtration techniques. Usually spotted at hospitals and hotels to keep a tab over indoor air pollution and provide healthy breathing to the patients and clients. With the growing awareness and rising indoor pollution among big cities, where traffic, fuel, factory discharge and various other factors are contributing in the overall pollution level, the demand for air purifier is high. Significantly, the market experts have observed good demand coming from the metros and some big cities, where level of pollution is high. “The demand of Air Purifiers has been growing at more than 100 per cent month-on-month owing to the worsening air quality in India. This has been observed specifically in Delhi, Bangalore, and Mumbai among many other cities. Our new range of air purifiers are currently available in Mumbai, Delhi, Bangalore, Kolkata, Hyderabad and Guwahati and many other smaller cities and towns. It can also be purchased online from the Eureka Forbes website,” said Marzin Shroff, CEO- Direct Sales and Senior VP, Marketing, Eureka Forbes. Darling of hospitals and hotels, air purifiers market opened a big competition among leading companies like Eureka Forbes, Kent RO, OSIM International, Sharp India, Panasonic and new entrant Phillips, which has raised the bar of innovation in the air purifier market by launching range of innovative, high-quality products. 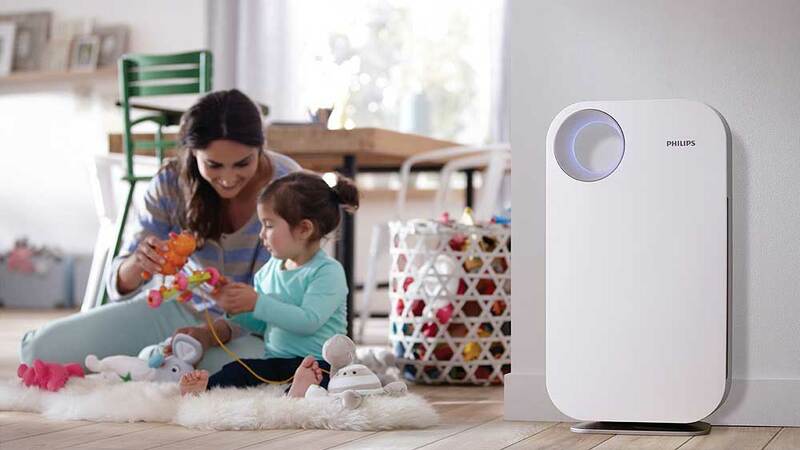 With growing demand and awareness among consumers, the air purifiers market has witnessed good growth, which opened huge opportunities and challenges in the market. “Opportunities are in Hotels, Restaurants, Bars, Lounges, Hospitals, Clinics, Individual homes, Offices, Homes having infants, people with respiratory disorders and allergies. Challenges are dispersal of knowledge of the benefits of the product,” said Munish Bhalla, CEO, OSIM India. Technical advancement is another major growth driver in the air purifier market. Research and innovation of technology has a great effect on the demand of air purifiers in the market. Cost effective technologies are making it possible for the larger part of the society to afford the product. Voicing the same, Sharma said the severity of air pollution has made headlines in the media and I believe that this has helped create awareness around the availability of products that can help fight the problem. “The Panasonic air purifiers are unique in nature because of its NANOE technology which works in sync with the composite filter to reduce 99.94 per cent PM 2.5 particles within 60 minutes. Apart from this, the Panasonic Air Purifiers also have front suction which is a more efficient way of functioning,” noted Panasonic India MD. Significantly, the outdoor air pollution has become the fifth largest killer in India after high blood pressure, indoor air pollution, tobacco smoking, and poor nutrition, says a new set of findings of the Global Burden of Disease report. “The Global Burden of Disease (GBD) report is a world-wide initiative involving the World Health Organisation, which tracks deaths and illnesses from all causes across the world every 10 years,” added Shroff. “Adapting is the New Game”..
“Indian Food is all about Community Eating”..
How staff training ensures client revisit in salon..
Kalpana Chawla Taught Entrepreneurs to Dream..
Medical Education System in India..
"Indian food can effortlessly compete"..
Making the Business More Convenient..